Extra's – New Housing Developments, a Hypocrisy? ‘A new Housing Estate surrounded by the Beautiful Kent Countryside’ the Developers often say ot thereabouts. ‘A new Housing Estate in the middle and eating up the Kent Countryside’ maybe more accurate? Or ‘A new Housing Estate on the edge of the Kent Countryside but not for long because another Developers going to buy the fields next to you which will make you as annoyed as the bloke who’s writing this article’! I see the need for new housing and for people wishing to live close by the Countryside and enjoying the benefits of a modern home with all the mod cons, but what really does upset me is that should they insist on such advertising, they should at least respect what the sountryside is and how important, if not more, it is to wildlife. 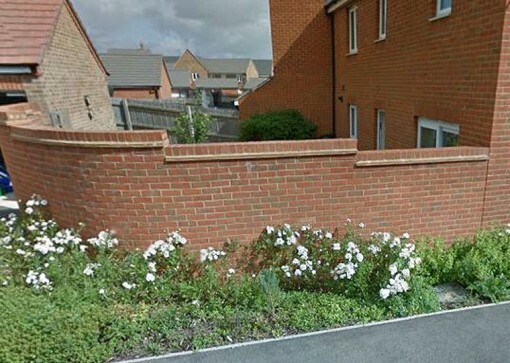 In this age of so many species being endangered, not enough seems to be done; the fronts of houses can look quite attractive, usually with no garden as such, then behind them lay the car parking spaces, in a concrete and brick maze and Gardens enclosed in 6 feet high panelled fencing. All in all a sure fire certainty that wildlife will be severely diminished until some of the owners decide to make changes and attract birds, bees and other creatures. Gardens two sided panels, one sided brick wall! These pride of the Nation creatures are now one of the most endangered species in the UK and much of the reason lays with the fact they can’t get around as they used to. Gone are the hedgerows replaced with our ‘put it up quick’ fencing methods. This can easily be rectified by putting 5″ holes in the fencing for them to get through (the ‘Hedgehog Highway’) but should that be down to the new owners? Can’t this be done by the Developers themselves, the cost would be minimum and good PR surely? 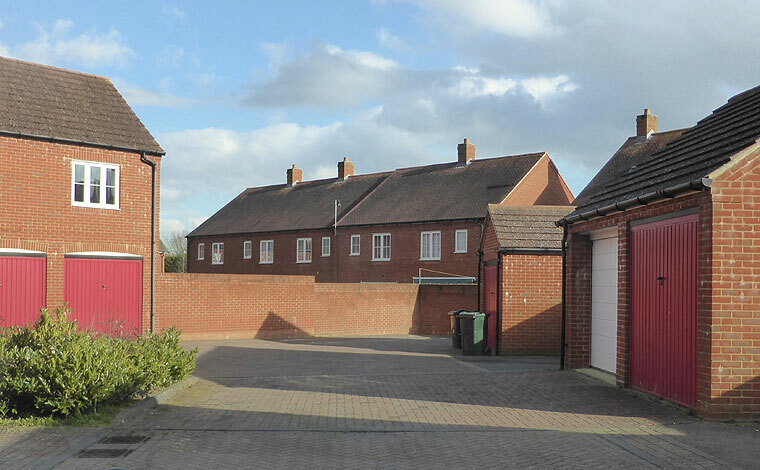 To be fair, some Developers are building new homes with suitable wild spaces within a complex, bird boxes under eaves, ponds and of the like, but too many aren’t – many exterior designs do compliment the countryside, but for many it’s build and sell’em quick. 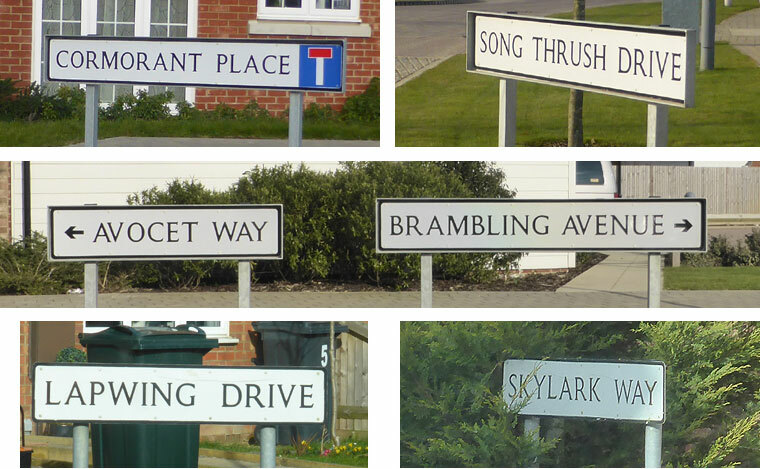 Then come the road names, see just a few below. The photo showing the car park spaces and brick walls are part of an Estate where we have ‘Wood Lane’, ‘Hawthorn Close’, ‘Acorn Close’, ‘Reed Crescent’ and more. At least plant a few of the said Trees and have a Pond where there are some Reeds! More emphasis must be put into caring for our wildlife, we can’t just go on as we are. If we do our natural cycles will be disturbed beyond repair, species will die out and after all.. They can survive without us but we can’t survive without them!